ตกลงเป็น MacarOn หรือ MacarOOn กันแน่…. I believe there’s no denying that Thailand has finally boarded the macarons-madness bandwagon. Although these beautifully colorful and whimsical almond and meringue-based dessert has been a Paris-staple for a long time, it was only the past decade that it has been taking the rest of the world by storm. According to my own little macaron chronology, the spread of the macarons’ dominance started when Ladurée opened its first boutique at Harrods in London back when I was still in boarding school. Pierre Herme slowly followed by the time I changed continent and moved to the States. And then by the time I was in New York, the macarons-craze slowly but surely swept over Manhattan trendiest bakeries such as Bouchon bakery, and now, of course, they also have their own Ladurée. And judging by the macaron shops popping up around town in the past year or so, the craze for these colorful bites of joy has finally reached Bangkok, and it is here to stay (at least for a couple of years anyways.) Thus, I believe it is only appropriate that we start of by calling them by their correct name – should it be macaron or macaroon? What if I tell you that it does not matter? Macarons, as we know today, seem to denote the trendy round confectionary made primarily out of egg white, ground almond, and sugar (with the addition of colors and flavors.) However, this type of dessert is just the tip of the iceberg. Macarons, despite popular belief, are not originally French; macarons’ origin actually dates back to the time of Catherine de Medicis of Italy, whom was the wife of King Henry II. 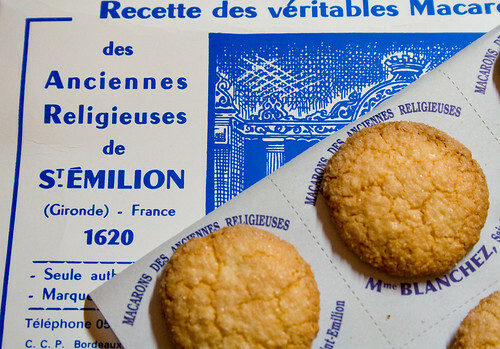 The famous filled double decker “macarons” as we know today are also called gerber. they were made famous by Pierre Desfontaines of Laduree, who started sandwiching the cookies together with a ganache filling, making them the confectionery we know and love today. But these colorful round desserts are not, by any means, the only correct macaron! Now, what about macaroons, you may ask? 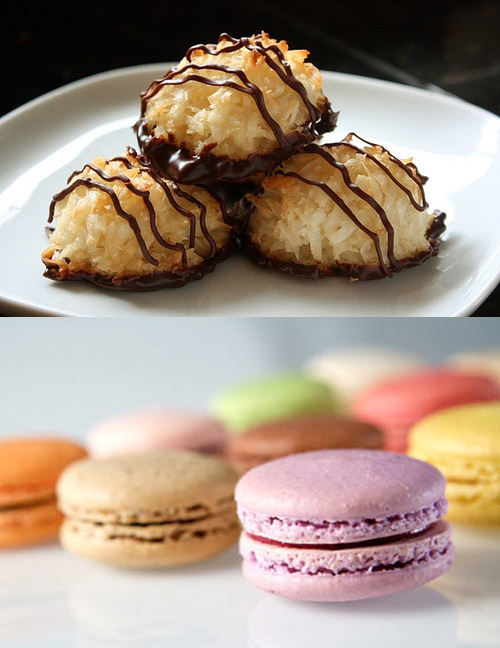 Macaroons are the direct English translation of the word macaron. 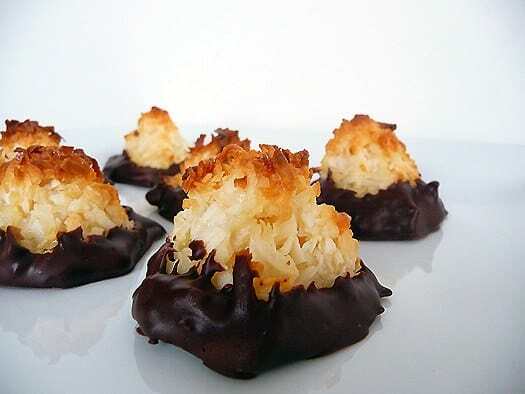 Although the more famous variation of the macaroon would be the coconut macaroons which contain egg whites, sugar, and nuts, and lots of coconut. The rise of popularity of the gerber and the fall of the popularity of the other types of macaron/macaroon seem to render the word macaroon obsolete. Some people only associate the macaroons with coconut macaroons and the macarons with gerber. However, not all macarons are gerber and not all macaroons contain coconut! 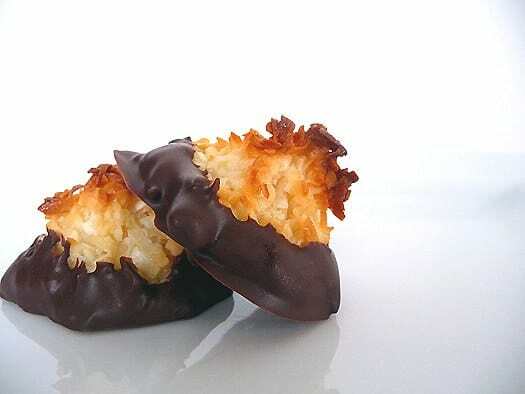 The coconut macaroons are also known as the congolais or rocher à la noix de coco in French. Although I believe using the word macaron or macaroon to call a gerber is fine, I always use macaron out of familiarity. However, I find the sense of snobbery that seem to occupy the use of the word macaron instead of macaroon to be funny: how come people never call someone snobbish when they say croissant or tiramisu? I just don’t get it! I think I have done enough rambling today though, so let’s not bore you all any further. Here are some recipes for you to enjoy. Either one “o” or double “o” is great ! this website, since I experienced to reload the web site many occasions prior to I may get it to load properly.